The funny photo of Choi Woo Sik and Jung Suk Won exposed. On the morning of April 23rd, 2012, Choi Woo Sik tweeted on his Twitter account, “When going to buy soup in the past,” and uploaded a photo. 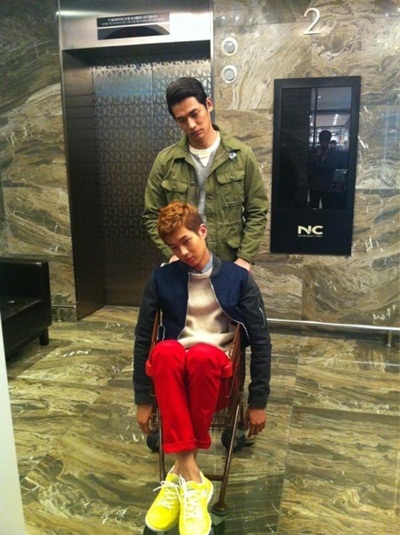 In the published photo, Choi Woo Sik sat in the shopping cart, and was pushed by Jung Suk Won. 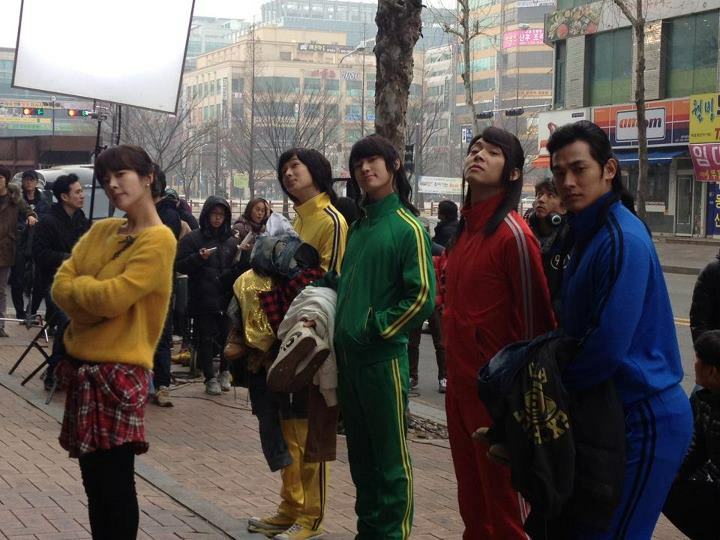 Choi Woo Sik wore a red pant and yellow sports shoes. The expressionless faces, shoulders and twisted necks of Choi Woo Sik and Jung Suk Won let people find it very interesting. Netizens commented on the photo, “Sitting in the shopping cart itself is very funny”, “Not only in drama, daily life also funny”, “Funny actors won”, “The actors are all so cute” and so on. On the other hand, Choi Woo Sik and Jung Suk Won are starring in SBS drama Rooftop Prince as Do Chi San and Woo Yong Sul, and are getting more popular. Jung Suk Won Praised for Comical Acting of "Yong Sul Disease"